Let’s face it. There is a whole lot of choice in this wonderful world of weddings often too much. 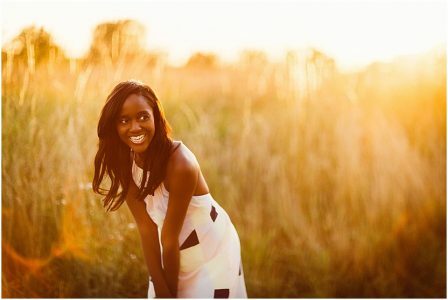 But oddly, you often see different versions of the same thing and the one thing you want to do when planning a wedding is make your day unique to you. 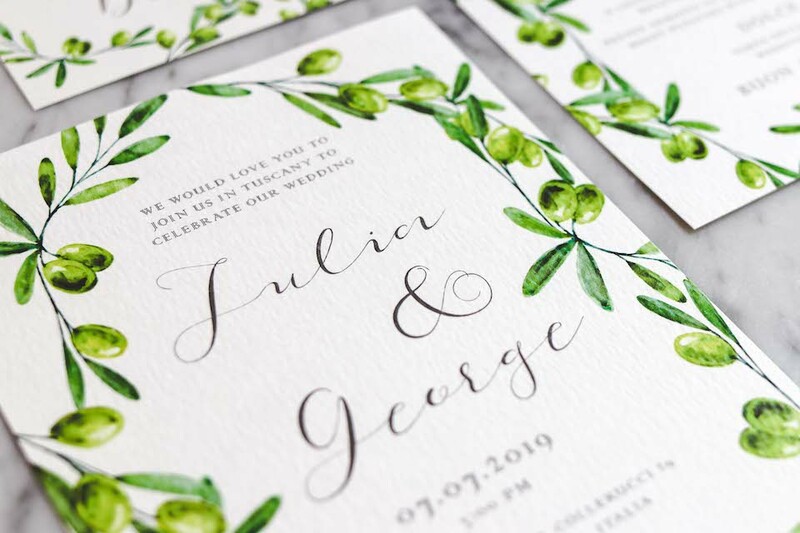 THE first impressions of the standard and style of your wedding day, a taste of things to come, start with your wedding stationery, so if you want to add your stamp to your day – here’s the first place you should consider doing it. There is so much inspiration it can become overwhelming at times. We always say to our Ananya couples that the best source of ideas is them, their stories, and all the things they love and share. Our first tip is to take a step back and think about what matters to you most. If there’s a style of design, a theme, or a colour palette you want to explore throughout your wedding, your stationery can be a wonderful way to capture it. Your save the date is the first experience that your guests will have leading up to your day, so it will set the scene for everything else to come. If you have, for example, a certain type of flower that reminds you of home (a rose or orchid for example), your stationer can incorporate that visual or that scent into your unique design. If there’s something special you share, like a profession or hobby, don’t be afraid to let it inspire you! If you have children, or much-loved pets, let them play a role too. Think back to your most treasured memories together and tell that story. The words you choose to use in your stationery can be a reflection of you as well – if you speak multiple languages, have a particular way of expressing yourself, or love a certain type of font, show it off with fun, creative wording. Feel free to interpret traditions in whichever way is most representative of you as a couple, and don’t feel you have to include the customary wording. You can also include any requests – if you like music for example, why not ask your guests for their top songs for the dance floor? Or if you love fashion, why not come up with your very own dress code! 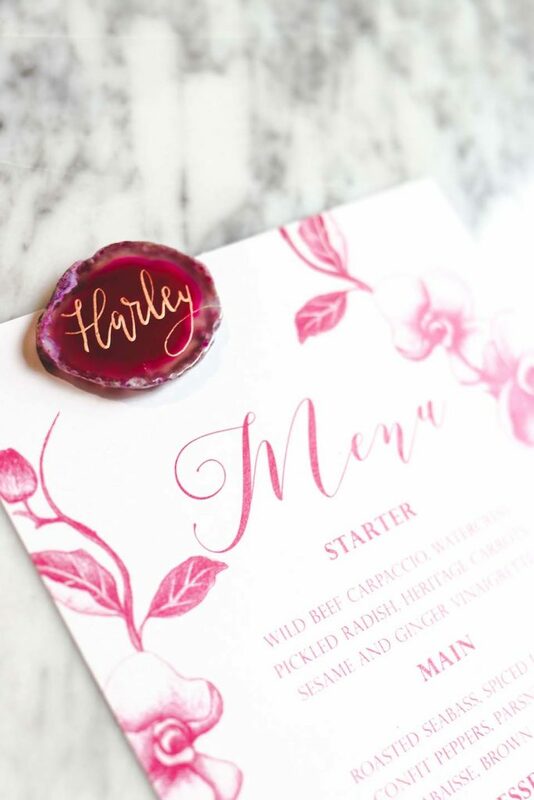 Your venue also plays a key role in personalisation options. If you’ve chosen somewhere particularly meaningful to you, let your guests know by commissioning a bespoke illustration or map for your invitation suite. This also makes a wonderful keepsake for you after the wedding! If there are colours native to the location, country, or season when you’re getting married, you could incorporate this in your stationery. There is a wonderland of finishing touches now available to make stationery completely unique to you. 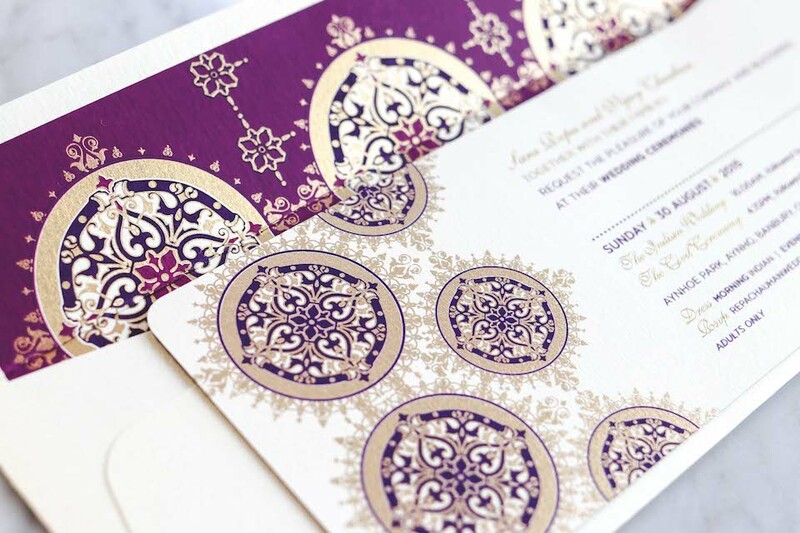 Here at Ananya we’ve worked with gold foiling, deckled edges, pearls, wax seals, ribbons, Swarovski crystals, sari fabric, batik, embossed stickers, and much more – and this is on top of all the printing technique options open to you. Wax seals themselves offer endless possibilities, like mixing wax colours, infusing the wax with spices (we love using tea, rose petals, and saffron), or ordering a bespoke monogrammed wax stamp with your initials. 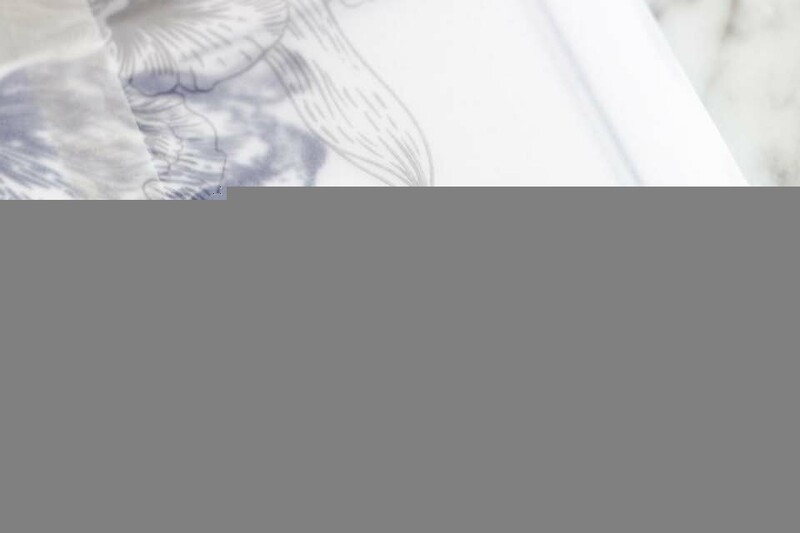 Texture can also be a very effective way of making your stationery ’feel’ a particular way – like romanticism through silk ribbons, modernism through Perspex, or opulence through laser cutting. For couples celebrating a union of different cultures, there are myriad ways of giving both a voice throughout your stationery. We love letting the colours, symbols, and traditions of your culture inspire your design, from African inspired prints and patterns to intricate mandalas, while giving them a personal and modern twist. For example, many of our couples with Indian backgrounds love to include symbols like elephants and lotuses in their suite – and to pair it with gifts of food. 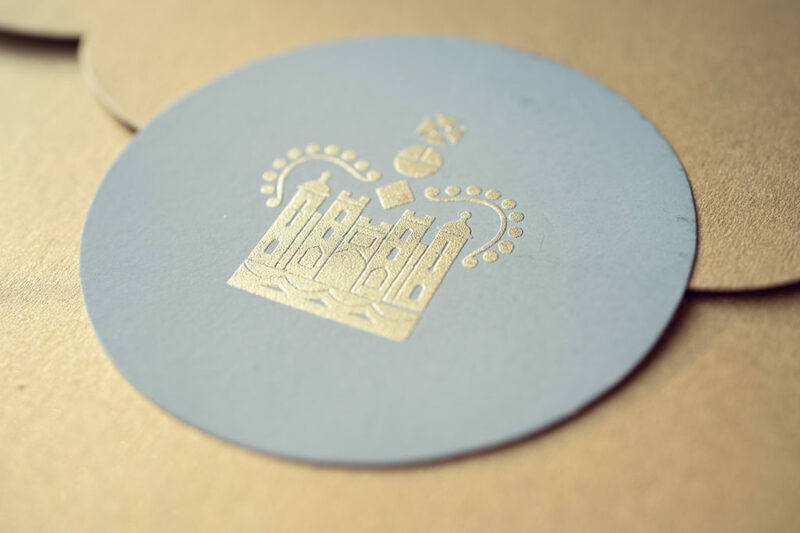 Remember that stationery isn’t just an invite or a menu, you can also sprinkle some extra magic with elements throughout your wedding day like coasters, wine labels, and tags for your personalised favours. 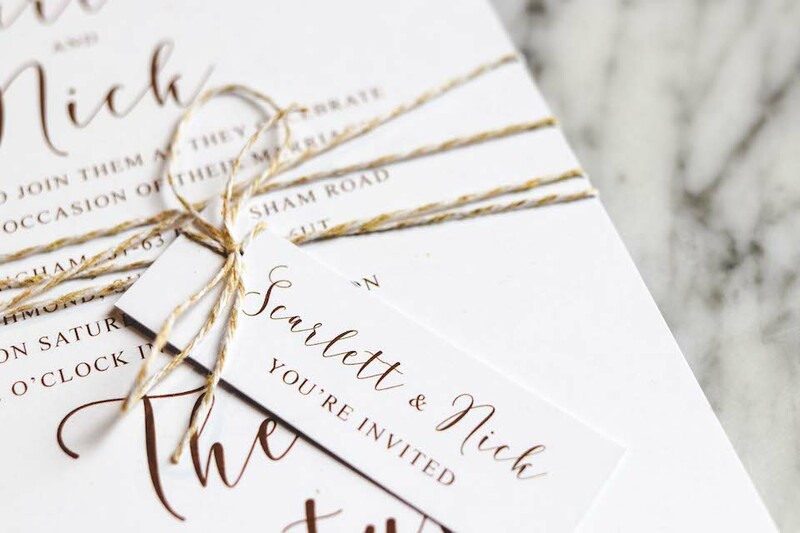 When it comes to sending out the invites, you can add an extra touch of personalisation by hand lettering the addresses on all the invitations, and even ordering custom or vintage stamps. 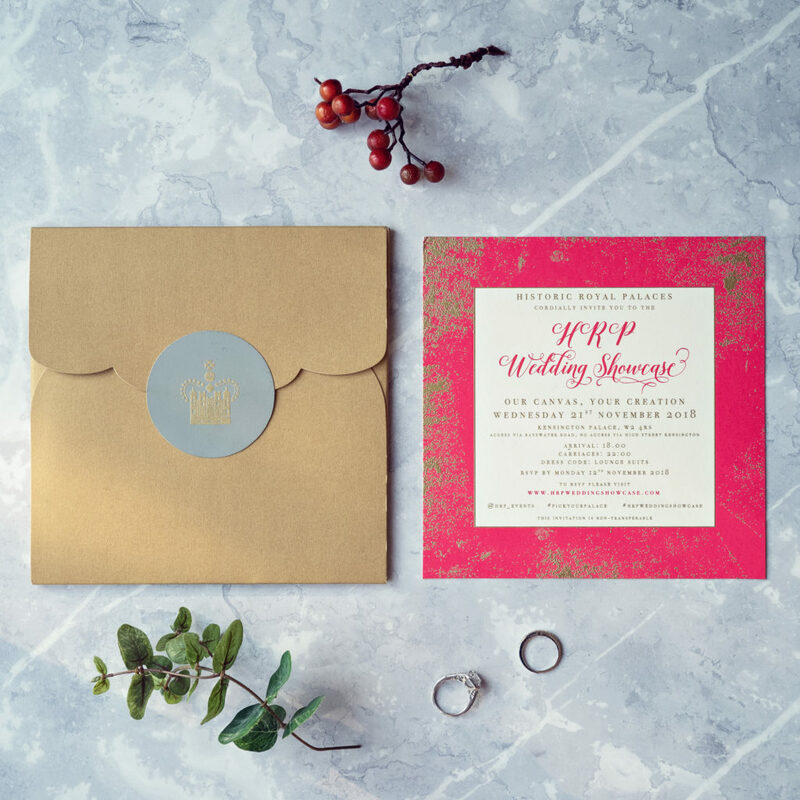 We adore creating unique envelope liners to echo your design features, and even adding boxes and layers of vellum to make that unwrapping journey even more exciting. Whatever you chose to do, whether just one element or multiple, try to stay consistent throughout the suite, and stay focused on what is most meaningful to you. The experience that is your wedding stationery can be as strong or as subtle as you wish it to be, and the sky truly is the limit when it comes to creativity. 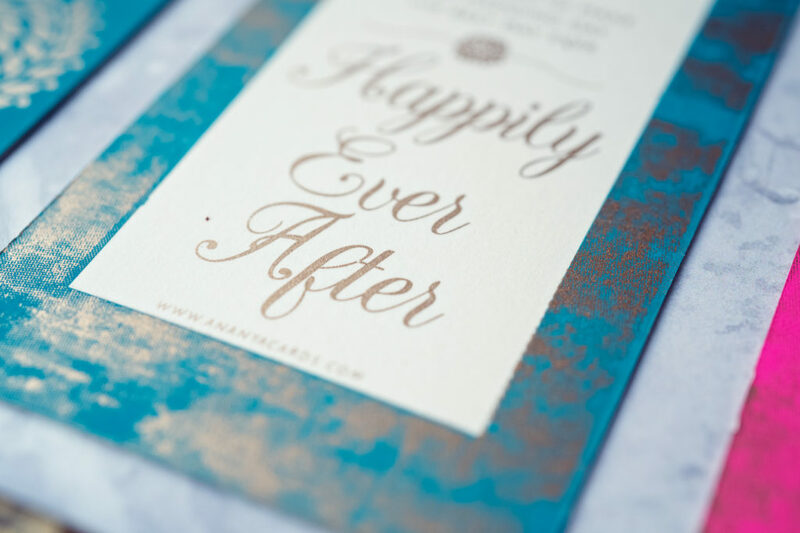 For more information, or help on how you can add your personality to your wedding stationery please contact Ananya Cards for one of their FAQ guides to help you on your way!